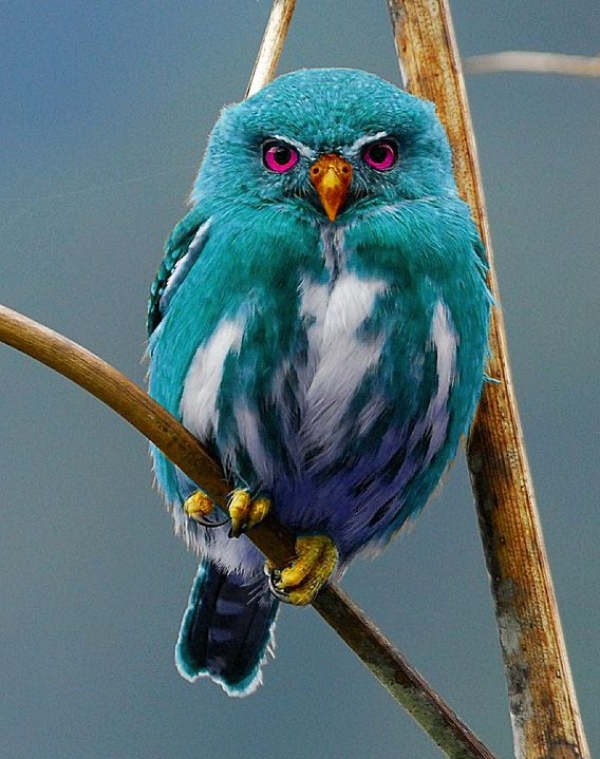 People are again clamoring for a crazy-colored owl! Thankfully, Snopes.com is once again on the case. Back in 2012 I linked to an entry on Snopes.com - the online investigator of popular myths and rumors - about a "newly discovered" "rainbow owl." It's quite clearly a hack photoshop job, but that hasn't stopped the hordes of blinkered, googling citizenry from making it one of my all-time most visited posts (which, honestly, isn't that hard to do). But apparently those devious tech geniuses are at it again. Behold, the teal owl! My goodness! How could this gorgeous species have eluded scientists for so long?? Again, Snopes looked into it and revealed that it's literally the easiest photoshop job. It's a Guatemalan Pygmy-Owl (here's the original photo from Owl Pages). Thanks again, Snopes, for setting the record straight. Who cares if it is photoshopped, it is beautiful.